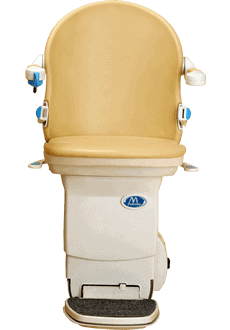 The advantage of the Handicare 950 plus are the extra powerd options avalible including a power lifting footresrt & powered swivel . 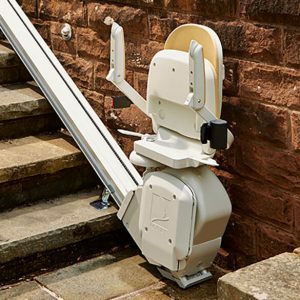 The Slide Track is a ground breaking solution available only from Handicare for use with a Simplicity or Simplicity+ straight stairlift. A Slide Track is slightly shorter than the length of your staircase. When you start to travel up the staircase the track will move with you. 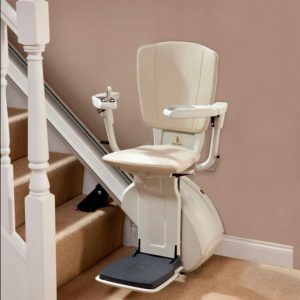 The track will reach the top of your stairs before the stairlift, it will stop whilst your stairlift continues on its journey to the top where you can safely dismount. When you come downstairs the track will travel down with you so you can dismount safely at the bottom. The Slide Track is fitted with safety sensors at either end, these will halt the track if it encounters an obstacle during use. 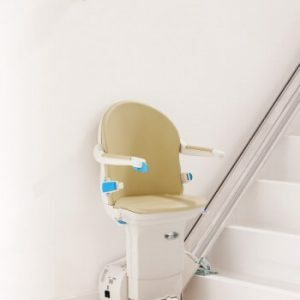 Your stairlift will continue to move towards the obstacle if desired where, if safe to do so, you can remove the obstruction and continue your journey. 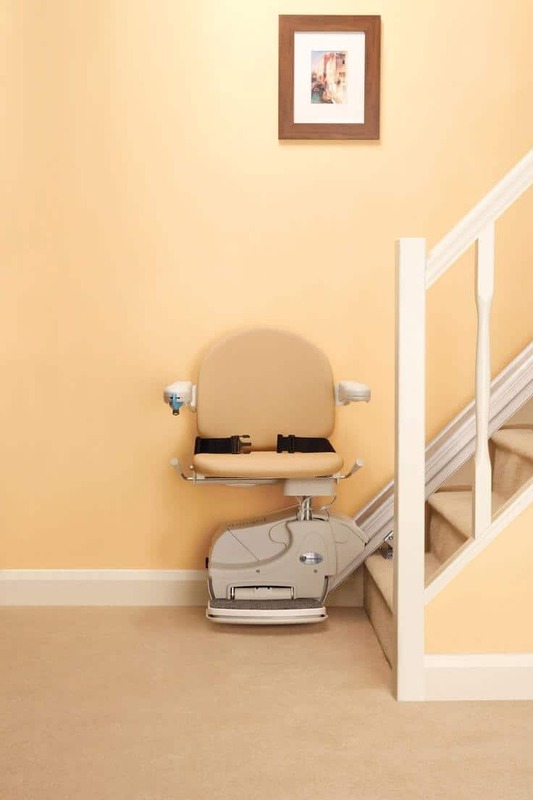 Alternatively the track and stairlift can be moved away from the obstruction. 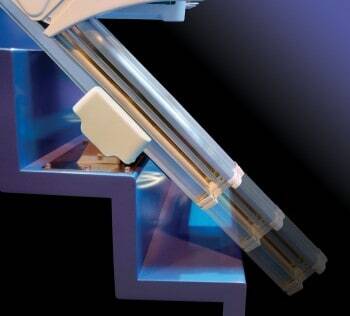 The Slide Track also offers safety benefits over a traditional hinged system by removing any risk of an object becoming caught in the hinge. Easy to use joystick controls on both arms. 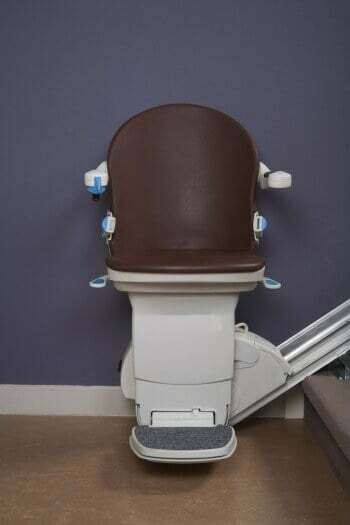 This Handicare simplicity stair lift comes with 90 degree lockable swivel seat. Remote functions to call the straight stair lift to you. 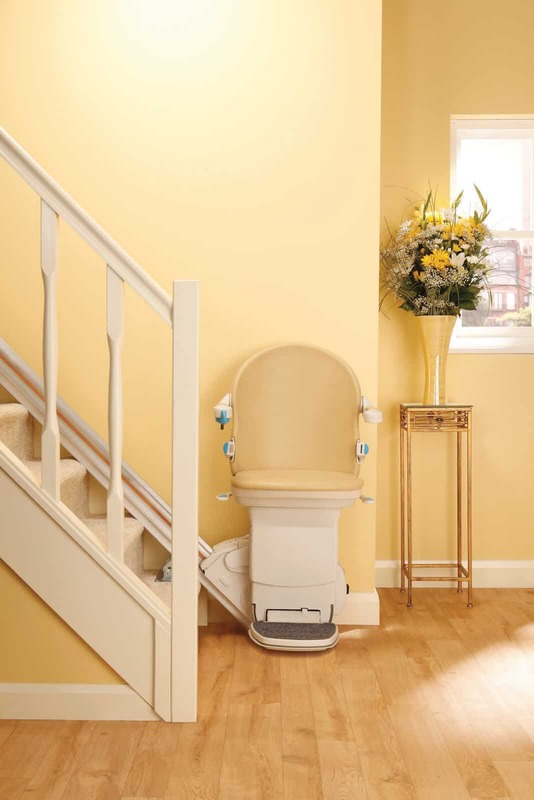 The Handicare simplicity stair lift can usually be fitted as quick as a few hours. 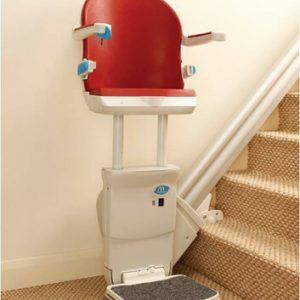 Safety sensors to stop straight stair lift in the case of obstruction.